Last month, the Rift passed its first birthday! Thanks to everyone who's made it what it is today, and here's to many more! :D This news post is going to be pretty short, as we've all been pretty busy with our lives these past couple months! But there is a lot going on and a lot of new stuff to explore here on the site! Check out the new hub to learn about the SWP that just kicked off and get involved in reviving one of the four gods! » Welcome to our newest members: Nikat and Grace! 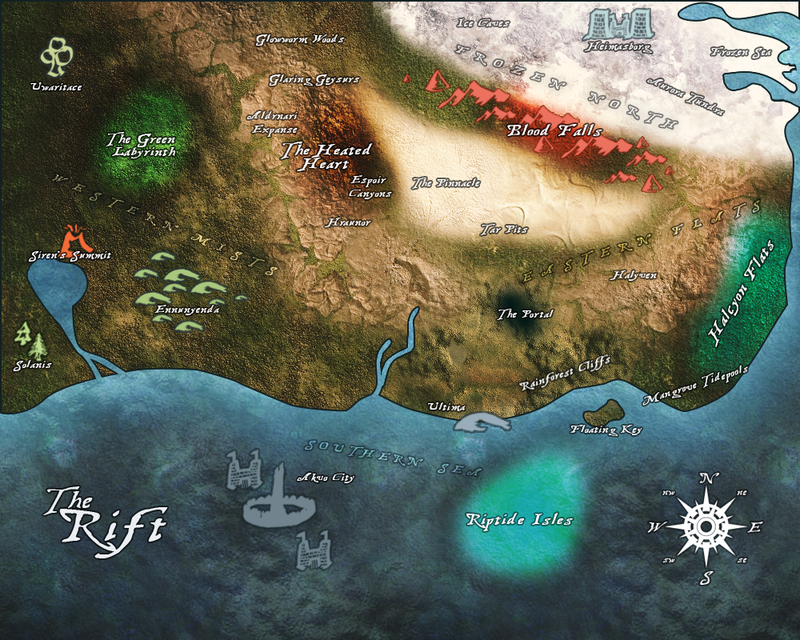 » The last region, the Rift's heart, is now open! Go and explore! » Hope has locked Kisamoa away and is now trying to help us revive some of the four fallen gods! Choose one to champion! Good luck! Kingdom of Halyven: Halyven has been quiet lately. Maybe everyone is settling into this new 'herd life' thing. It's peaceful, but for how long? » It looks like there’s still room for 2 more herds at the moment! Interested in founding one yourself? Check the guidebook section for info on that! » Remember, it’s never too early to start nominating your favorites for next month!